Join your classmates online at Facebook.com! Go to www.facebook.com and create a free account. 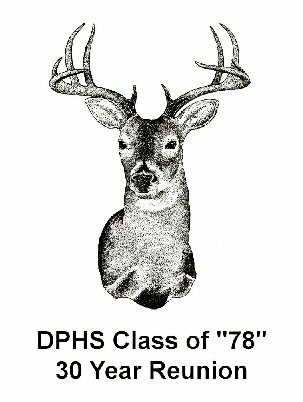 Then, find your classmates at the DPHS78 group. 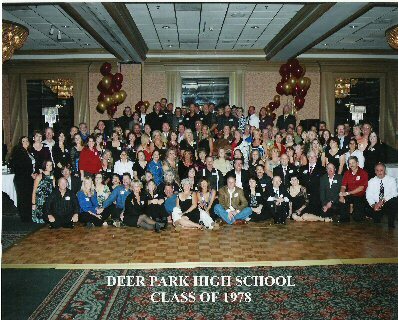 If anyone is interested in purchasing a CD of the Reunion of the pictures taken by our Reunion photographer, please contact Mr. Leroy Moreno at the number listed above. Mark Powell says there are 9 X-Large and 2 Large DP 30th Reunion T-shirts left. If you would like to purchase a t-shirt for $15 (which includes shipping) please email Cynthia Douglass Bailey at mombailey3@yahoo.com. Go to the NEWS page to read about Eddie League (classmate), Division 4 "Champion" advances to the 2008 IHRA World Finals Race in North Carolina! Congratulations Eddie!!! If you are unable to view the navigation menu under the Class of '78 logo at the top of each web page you can use the Sitemap navigational links.